↑ अ आ इ ई उ ऊ ए Stromberg, Joseph (15 अगस्त 2013). "For the First Time in 35 Years, A New Carnivorous Mammal Species is Discovered in the American Continents". Smithsonian Magazine. अभिगमन तिथि 15 अगस्त 2013. ↑ Koepfli, Klaus-Peter; Gompper, Matthew E.; Eizirik, Eduardo; Ho, Cheuk-Chung; Linden, Leif; Maldonado, Jesus E.; Wayne, Robert K. (2007). "Phylogeny of the Procyonidae (Mammalia: Carnivora): Molecules, morphology and the Great American Interchange". Molecular Phylogenetics and Evolution. 43 (3): 1076–95. PMID 17174109. डीओआइ:10.1016/j.ympev.2006.10.003. ↑ अ आ इ ई उ Helgen, K. M.; Pinto, M.; Kays, R.; Helgen, L.; Tsuchiya, M.; Quinn, A.; Wilson, D.; Maldonado, J. (15 अगस्त 2013). 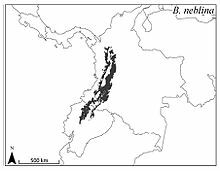 "Taxonomic revision of the olingos (Bassaricyon), with description of a new species, the Olinguito". ZooKeys. 324: 1–83. डीओआइ:10.3897/zookeys.324.5827. ↑ अ आ Borenstein, Seth (15 अगस्त 2013). "Adorable New Mammal Species Found 'In Plain Sight'". ABC News. मूल से 16 अगस्त 2013 को पुरालेखित. अभिगमन तिथि 15 अगस्त 2013. ↑ अ आ इ ई उ O'Brien, Jane (15 अगस्त 2013). "Olinguito: 'Overlooked' mammal carnivore is major discovery". बीबीसी न्यूज़. अभिगमन तिथि 15 अगस्त 2013. ↑ अ आ इ Landau, Elizabeth (15 अगस्त 2013). "New cute furry mammal species discovered". CNN. अभिगमन तिथि 15 अगस्त 2013. ↑ अ आ Kim, Meeri (16 अगस्त 2013). "Smithsonian unearths a new species of mammal: The olinguito". Washington Post. अभिगमन तिथि 16 अगस्त 2013. ↑ "New animal discovered in Andes". WRAL. अभिगमन तिथि 16 अगस्त 2013. ↑ "A new mammal. Peekaboo". The Economist. 17 अगस्त 2013. अभिगमन तिथि 15 अगस्त 2013.